I have to say that radio isn’t my natural habitat (which is probably why I’m a blogger and not a podcaster! 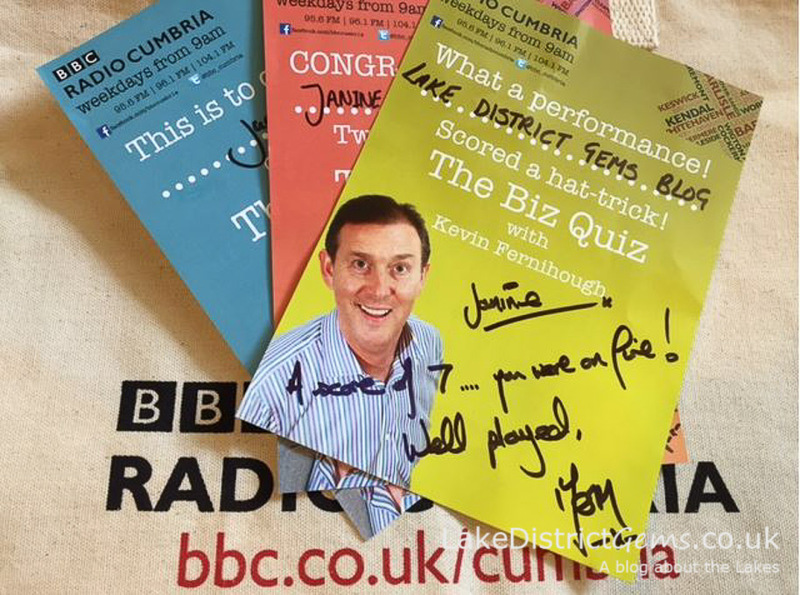 ), so when I was recently invited to play the Biz Quiz on BBC Radio Cumbria’s Kevin Fernihough Show, you can imagine how I felt just before I was about to go on! 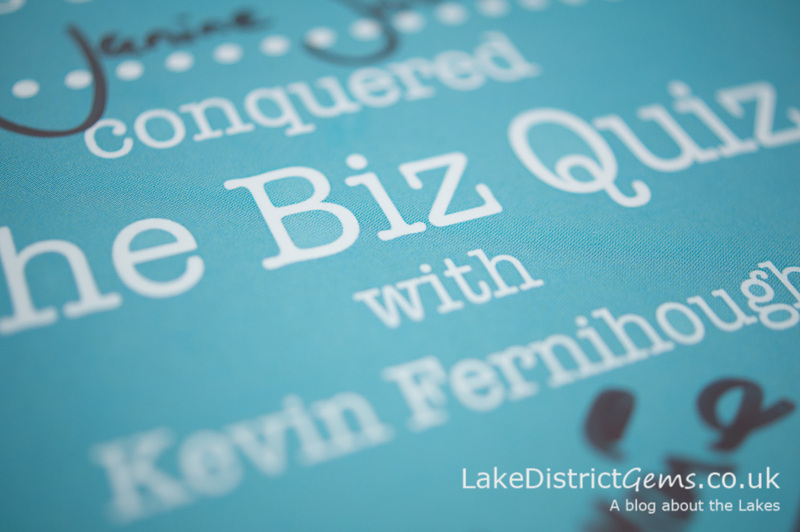 Kevin – or ‘Fern’ as he’s also known – is the regular host of the mid-morning show on the station, which is home to the daily Biz Quiz. The quiz is a light-hearted invitation for two local people to talk about their ‘9-5’ on air and then answer 30 seconds of general knowledge questions each, to find the day’s category winner. My category was the rather grand-sounding ‘keyboard warriers’ – people whose day job involves lots of use of a computer! It was great to talk about Lake District Gems on air, but the elephant that just wouldn’t leave the room was the fact that I’m really not that good at general knowledge quizzes! I’m the sort of person who can easily recognise when I’m watching a repeat episode of the BBC’s Eggheads, but still can’t get the answers right second time round – and they’re all multi-choice answers…! Anyway, having prayed that I would answer just one question correctly (and believe me, that would have made me a very happy bunny), you can imagine my surprise when I answered four right and was greeted with a congratulations theme tune and an invitation to return in a fortnight to retain my ‘title’! The thought of winning hadn’t even crossed my mind. You even get a certificate and goody pack! 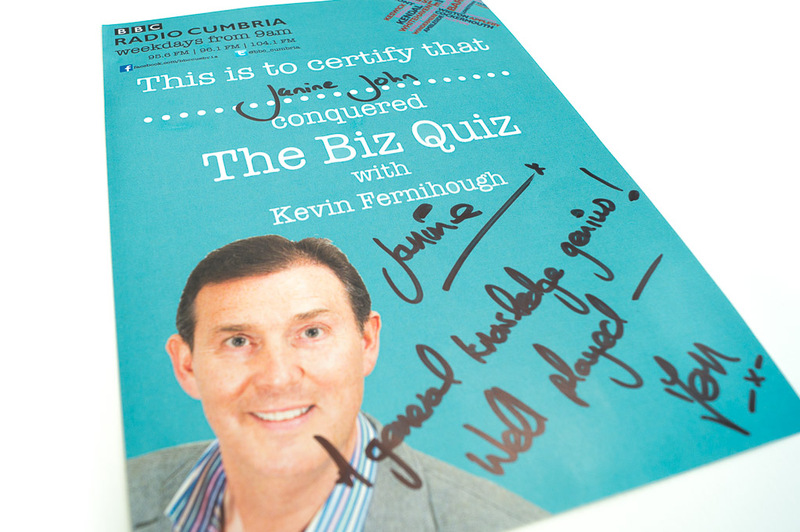 Needless to say, I now have to get my daily dose of Kevin’s Biz Quiz, which you can usually catch at around 10.40am and is really quite addictive once you’ve discovered it (and I’ve got to get a bit of practice in for next time! 🙂 ). I’ve also heard quite a few interesting snippets on the rest of the programme, so if you’re around at that time of day, do tune in and listen for yourself. Well, I went on to win a second certificate (just!) and then fell at the final hurdle, so didn’t win the third – it was good fun though! If you fancy listening in but you’re not usually around at that time of day, you can catch shows from the last 30 days online at any time. Later update: I did it, I did it! The producers at Radio Cumbria made me have another go, and this time I took away the third certificate (and a shopping bag!) with seven correct answers! Well, if I’m invited back to attempt to ‘retain my title’ – and win or lose – I’ll let you know what happens!